Keeping it real, Taking care of you…and a little body confidence for hire. So today I am going to get ‘personal’ which equates to vulnerable. Vulnerability is something I am always working on. Demonstrate it, show it, be it. It is a spectrum of mastery. I am nowhere near the ‘mastery’ state. As business owners, we struggle with a host of different confidence levels in a host of different areas in which we work and play. How you feel about yourself and how you take care of yourself have an enormous impact on how you show up in your business and the amount of visibility you will demonstrate with your chosen tribe of people you wish to serve. I choose to serve busyaholic entrepreneurs. Why? Because I have been one and understand the struggle. I have been ‘one of my people’ and sometimes I still AM one of my people with regard to the struggle. I like to ‘push the envelope’ as they say. It is harder than it looks to find balance in all things, especially when you LOOOOVE to work. I LOVE what I do so much. In fact, sometimes I can’t tell the difference between working and playing. Alas, sometimes I am a walking paradox…. I know that life rules say you need 8 hours of sleep a night. Say what?! That can cut into my productivity time. I am intentional about not treating my body like a trash can…and sometimes I eat 4 cupcakes from The Cupcakery in a sitting. I am aware of the level of exercise my body likes to have and sometimes, instead of exercise, I choose to binge-watch The Vampire Diaries on Netflix. It’s not always easy….in fact, it’s rarely easy, and for me, it’s never accidental. It is something I have to commit to, stick to and always be striving for. Anyone who follows me knows that my platform and I are big on self-care. For me, self-care comes in many different forms. It can come in the form of time curled up with a good book, a facial, a massage, a bath, meditation, time in the pottery studio, hours in the sensory deprivation tank (no lie…its a real thing), retreat weekends, and as was the case most recently a little ‘body confidence for hire’. Nope…I’m not talking about a personal trainer. I like to try new things, have new experiences, be in ‘the know’. Inner beauty and outer beauty. We are always striving for them to match. Again…not always as easy as it looks. Sometimes we get shamed into it being ‘vanity’. I don’t think there is anything wrong with a personal appearance code. We each get to set and celebrate our own standard and own level of comfort for what we are willing to do to achieve that confidence. The reality is sometimes even when you are consistent and do the work you still don’t get the results you desire. The outside doesn’t match the inside. For some of us….when it does, we can shine a little brighter. I take immaculate care of my skin, probably the thing I spend the most money on. I am no stranger to the salon to color those ever-persistent strands of glitter in my tresses. Those of you who have seen me live know I have one big one up front…I leave that bit of glitter alone. It makes me look ‘trendy’ and like I did it on purpose (Thanks Mother Nature!). Despite the fact that some days no one will even see me in person, I make it a point to dress as if EVERYONE is going to see me today. Those are things that contribute to my personal appearance code. I even had something done about my frustration with the fact that when I wave…my arms wave back at me. Ladies (and maybe some Gents) you know you know what I am talking about! I had some Coolsculpting. If you don’t know about it, You can get up close and personal with me here and see for yourself. The Balance Maven teamed up Tarah Taylor and Colorado Laser Spa for a little body confidence for hire. We did a video, because like I promised…we are keeping it real. I believe there is no shame in buying a little body confidence, especially when you can get it non surgically with zero invasion. Body confidence and confidence, in general, mean a lot of different things to a lot of different people. Much like when I talk about work-life balance, this is purely individual. You have to do you and do it unapologetically. For me, it is NOT about keeping up with the Jones’ or comparison or some sort of personal body shame. Though this can be very true for some…no judgment. We get it. I didn’t choose it because there is something wrong with my size. Beauty comes in all sizes. I truly believe that. It IS about me keeping up with me and what makes me feel good about me. It’s not about me being resistant to the natural process of aging and failing to ‘grow old gracefully’. Though, I will say, “Screw that!” I’m not owning ‘old’ ever, gracefully or not…I don’t care what the number says. I choose to never have an ‘old’ mindset. BONUS,if there is a way I can stave off the forces of gravity while I am at it, I am down with that too…hence the Coolsculpting. So watch the video here. 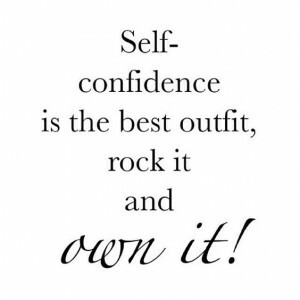 We would love to hear how you take care of you and what body confidence means to you. If you are interested in body confidence for hire you can learn more about Coolsculpting here. Gents, it’s not just for the ladies! This is probably the right moment for me to be clear that I am getting NO commission, perks, or kickbacks from Colorado Laser Spa (other than good feelings, if it gives you permission to do whatever makes you feel good about you). I just know these things don’t get much attention because we can tell ourselves a story of ‘what will people think or say’ and wanted to put it out there, that it doesn’t matter what others think. You do you. Also, in full transparency, I just wanted to help a sister business owner out who has given me some wonderful care over the years and share a little about what she can do as part of this message. It really is a pretty amazing technology, freakishly easy, with almost beyond belief results… permanently. No needles, no knives, no scary stuff. How do you get body and mind confidence? How are you taking care of you? Tell us your story!